The Institute of Medicine and Robert Woods Johnson Foundation are just two of several industry giants that advocate the Bachelor of Science in Nursing. Their efforts to boost the percentage of the workforce holding a BSN is not a criticism of nurses practicing with an associate’s degree but a natural response to the changing health care system. The aging population, rise in chronic diseases, increasing complexity of care, and legislative reforms have broadened the role of nurses beyond the capabilities of ADN nurses. The BSN program has been developed to equip nurses to fill the expanding role and function that the evolving health care system demands. Several publicized studies link a more educated nursing workforce to lower mortality rates and better patient outcomes. Challenges within the system and process lead to poor outcomes, such as hospital-acquired infections and medical errors. Swift changes within the health care system will affect practice until nurses see the viability of completing the BSN to develop the leadership and use critical thinking and evidence-based practice to implement solutions. The demand for nurses educated at the bachelor’s degree is already underway at hospitals and other healthcare organizations. The IOM is urging that the percentage of the workforce holding a BSN should be at least 80 percent by 2020. A recommendation like this coming from industry heavyweights is having a decided impact on employers’ hiring practices. The push to get nurses back to school may not be convenient for many, but the ultimate goal is to improve patient care and safety. Instead of pushing back, professional nurses may want to leverage the current wave to broaden and accomplish their career goals. The convenient and flexible RN-to-BSN program will give them the tools to use information systems and patient care technologies to promote safe practice and produce quality patient outcomes, develop solutions to promote health and prevent diseases, utilize evidence-based practice, analyze trends in healthcare policy and understand the impact they have on health care access, and embrace lifelong learning to foster personal and professional growth. A change in the education for nurses occurs as a natural response to changes in healthcare and advances in technology. The IOM’s sites the need for highly educated nurses to meet the needs of an aging population and an increase in cases of chronic illnesses. Demographic changes in the population are another key reason given for more education for nurses. Challenges in the health care environment require nurses to have competencies to assume responsibilities beyond the administration of medication, wound care, or checking vitals. Nurses are called upon to assess, diagnose, intervene, and evaluate. They must have an understanding of health policy, demonstrate leadership, communicate and collaborate effectively to coordinate care and interpret research to deliver evidence-based care. The light of research makes plain the relationship between a nurse’s education and patient outcomes. The American Association of Colleges of Nursing (AACN) summarized in the “Impact of Education on Nursing Practice” findings that support the use of baccalaureate-prepared nurses to improve patient outcomes and safety and deliver better quality care. The studies demonstrate lower patient mortality rates and reductions in medical errors. When compared with ADNs, baccalaureate-prepared nurses had fewer medication and procedure-related errors. As healthcare moves from primary care settings, such as hospitals, to communities – including underserved communities – ADNs will need the leadership, critical thinking, and communication to work in these non-traditional setting. Although the IOM specifically recommended the BSN or higher degree for nurses practicing at a supervisory level, employers have gone further to require the degree even for entry-level positions. This move has widespread implications as more ADNs are having a difficult time securing employment in hospitals and many other medical settings. The greater percentage of new nurses earn their right to practice through completion of the associate’s degree. The smaller group of BSN graduates is better positioned to get coveted positions due to their understanding of the political, social, cultural, and economic influences on the delivery of care. The Magnet® recognition program has attracted the attention of thousands of hospitals nationwide. Through their membership, they can demonstrate their commitment to nursing excellence – a standard that members of the public look for. To achieve this status, hospitals must have all their nurse supervisors and managers hold a BSN or above. It is becoming the norm for hospitals to require a BSN even for their direct nursing staff even though it is not required by the Magnet recognition program. Numerous incentives for returning to schedule give nurses a reason to leverage the drive the improve nurses’ education. Grants, scholarships, salary differentials, tuition reimbursement, and special funding for nurses are some financial incentives that nurses should research. On top of the financial aspects, there are options for paid time off and flexible scheduling that will remove or lower resistance to continued education. RN-to-BSN programs are offered primarily in an online format to facilitate a balance between work and study. Students who complete the RN-BSN program earn a BSN degree that will give them a chance at better salaries, greater opportunities, job security, more benefits, and professional advancement. Comparison of the salaries for new associate degree and baccalaureate degree graduates shows no marked differences. 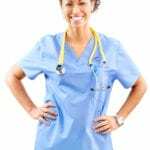 However, an experienced nurse completing the BSN degree can use the experience and education to negotiate better salaries as they take on greater responsibilities in healthcare. Nurses working on the frontline of care have a firsthand knowledge of the complexities in the delivery of care. Chronic illnesses are on the rise, legislative reforms abound, and the need for collaboration among teams demand that nurses have knowledge of public health, evidence-based practice, technological trends, and the critical thinking process. Registered nurses who hold a baccalaureate degree will form the greater part of the workforce selected to replace the experienced nurses in line for retirement. As employers seek trained, educated, and professional replacements for the vacancies left by retiring nurses, they are more likely to choose nurses prepared at the BSN or higher who have the leadership, foresight, experience, and ability to use evidence-based practice. Using their experience and degree, BSN-prepared nurses not only have the competitive advantage in a bid for these positions but will have opportunities to fill positions that require the management of teams and supervision of nursing students. The rising tide of employers and associations requiring the BSN degree could impact the licensure procedure for registered nurses in the future. Right now the associate’s degree in nursing is a common path to practice that confirms a nurse’s readiness for practice. However, calls for a higher standard to improve patient outcomes and safety could lead to changes in the future. Moreover, employer practices could compromise job security for working nurses. Those who stay ahead of the curve will have a better chance of longevity in the marketplace. The RN-BSN program that is built on the competencies outlined in the Institute of Medicine’s “The Future of Nursing: Leading Change, Advancing Health” report will seek to enhance nurses’ ability to navigate the complex healthcare environment. Students will develop an awareness of the AACN’s nursing competencies to provide safe and competent practice. Through flexible online learning, students will gain an understanding of the ethical and legal considerations of healthcare, pathophysiology for nurses, diversity, systems leadership, healthcare management and finance, community and population health, and research and evidence-based practice. Other areas of study include nursing care of populations, conducting critical inquiry, the nurse as a leader, nursing implications of genetics, evidence-based nursing care, statistics, and informatics and technology in nursing. Completion of the degree requires 120 credits including any transferred credits the students may be eligible for. Tuition for the RN-BSN program is approximately $300 per credit. The final cost will be approximately $12,000 to $15,300 based on the number of credits transferred into the program.